Who’s ready to get some pips? Whether you like trading short or longer time frames, I got yo back with these currency cross setups on CAD/JPY and GBP/NZD! 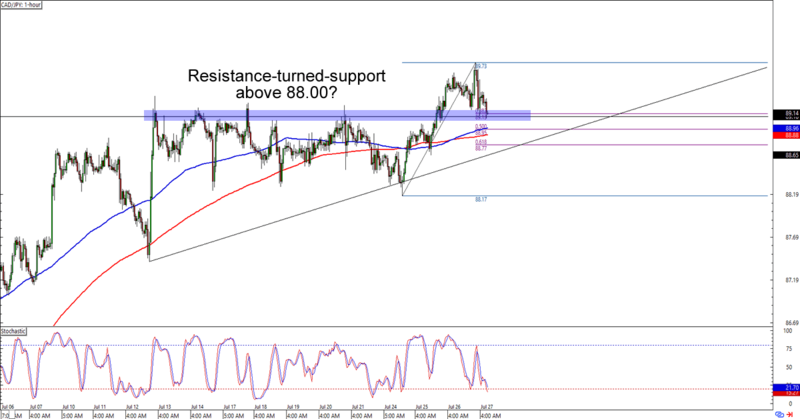 After popping up to the 88.70 area, CAD/JPY has gone back down and is now flirting with the 88.00 major psychological handle. The consolidation around the area isn’t a surprise considering that the previous support is also right smack at a 38.2% Fib retracement and is just above the 100 and 200 SMAs on the 1-hour chart. Think the Loonie will extend its uptrend against the yen? Buying at current levels could still get you decent pips if you believe that CAD/JPY will make new monthly highs in the next couple of hours. If you’re one of them conservative traders, though, then you could also wait for a deeper Fib or trend line pullbacks before slapping on your buy orders. In any case, make sure you place wide stops when trading yen crosses like these! I spy with my cool, blue eyes a hot entry opportunity! GBP/NZD is back at the 1.7600 area of interest, which lines up nicely with an ascending channel support on the daily time frame. 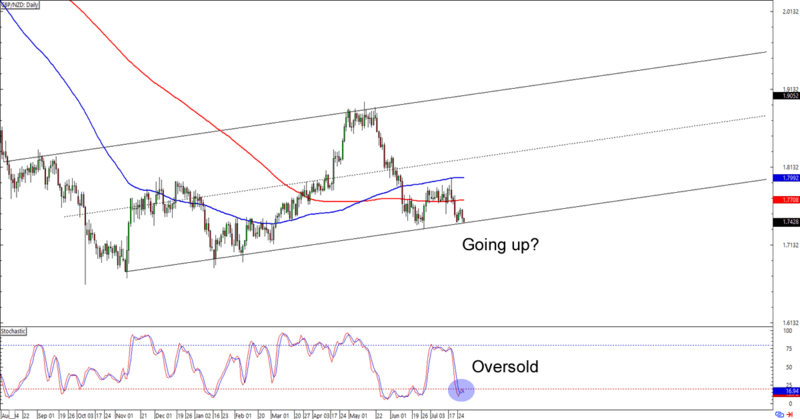 What makes the setup more interesting is that stochastic is chillin’ like a villain on the oversold territory. But before you buy this baby like there’s no tomorrow, take note that the bulls aren’t exactly showin’ their love by popping up strong bullish candles. Buying at current levels could get you a sweet reward-to-risk ratio especially if you aim for the previous highs near 1.9000. Of course, you could also wait for a bit of momentum if you’re not convinced that the channel support will hold and will lead to an uptrend.